On a scale of 0 to organized I’m puttering at a 7 right now. 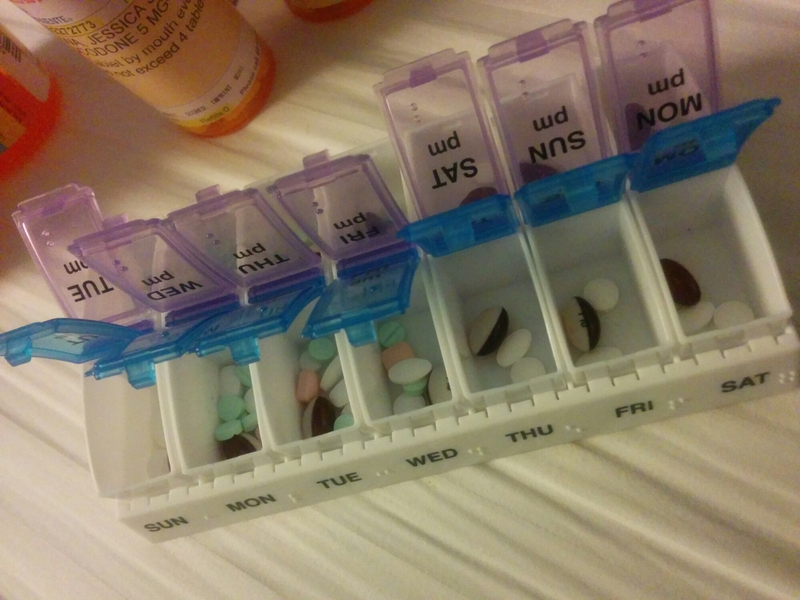 Getting this week’s meds organized. Putting stuff away around the house so I can succumb to week 2 in peace and cleanliness. My MIL and FIL were a whirlwind of activity last week, dusting and cleaning the windows. I’m so grateful for them. And Kenji of course. He’s really picked up the slack and he knows what a clean house means to me. Week one of round 2 is done. After tomorrow I’ll be 33% complete with treatment! Amazing. Previous PostHair Today. Gone Tomorrow.Next PostMy mantra. Yea for helpful family members! I love a clean house. I hope I can come clean for you some time soon? I’ll be over my sickness pretty soon! TIL what MIL and FIL mean! Thank you for sharing your story Jess! Glad things are going 7 out of organized for you! Love you, Kenji and your awesome in-laws! I wish Everett and I can hang with you this week! Sienna brought home a bug from school. We’re both fine but I don’t want to chance bringing it to you. Enjoy your clean house my friend.